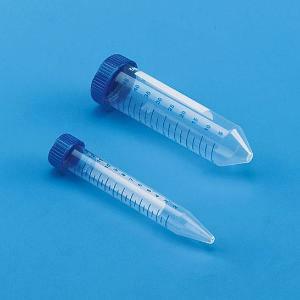 Conical bottom, polypropylene centrifuge tubes are supplied with cap. Tubes are sterile and autoclavable. Length: 120mm. Capacity: 15 mL.